Turns out children are a pretty complex species, which I’m sure I’ll learn to accept soon enough. But craving consistency I keep thinking the child has locked into a certain way of being, his personality decided – for better or worse. There was a patch where he was pure evil. And what I mean by that is that he was curious to the point of defying instruction. Perfectly normal it turns out. So when he would see his bowl full of cereal and think about what reaction it would have, that I would have, if he were to swipe it off the table and proceed to splash around the milk whilst holding eye contact with me, I’m sure he was just seeing what would happen, and that it wasn’t a demon taking residence in the body of my child. Ahh the rosey tint of retrospect. So it was with welcomed surprise last week that I could stop thinking about moving house as he turned to pure gold. We had our day together – Daddy Dave (the ‘v’ fell into the pronunciation and we haven’t corrected it just yet) – and he was full of love and energy, reminding me constantly of how I’m his best friend and that he loves me. Later I asked what he wanted to do and he proposed that he go to bed, stopping to brush his teeth en route. I follow to read a few him his bedtime stories and he has already tucked himself in. Perfect, if not suspicious, child. Almost more unsettling than when he went full Damian. So there goes me, smugly reassured of this new angelic child. Until Fathers Day just passed. We had tried potty training a little while back and it was just to difficult to keep up with the amount of washing when there were accidents. But now, in his newly perfect mode he seemed to be taking to it just fine. Well. Fathers Day. Nico asks the boy if he needs the potty: he looks down at his dry trousers, back up at her and presents his growing piss patch with a stage magician’s “tadaaa” adding a little leg kick as a flourish. At least he’s a showman about it. But all I can think to do is hold him down whilst Nico fetches the bible. Update: Daddy Dave just passed and the pendulum has once again swung in the other direction. Fully aware and using the potty his ownself, no accidents for four days straight now. Lovely as ever, but I keep my bags packed and holy water handy on the off-chance. When a long-married couple lose their only son in battle they start a silent rebellion in the heart of Berlin. This act of dissent will quickly gain attention from the Gestapo and almost certainly mark them for death. Otto Quangel (Brendan Gleason) is a foreman at a coffin factory and his wife Anna (Emma Thompson) works begrudgingly for the Nazi Women’s league. They are shown to be lowly working class people already disgusted by the ‘German war machine’ and losing their boy takes all purpose from their lives. Otto is inspired by a Nazi recruitment poster to speak out and does so by writing a warning on the back of a postcard, which he leaves in public. Now with new purpose he begins to write more and more, with political messages provided by his wife, until Detective Escherich (Daniel Brühl) is assigned the case of finding and eliminating the audacious menace. Based on a novel that in turn was based on true events, the story is rather straight forward and motivated by complex emotions, however rather than show this through the performances of its impressive cast, it constantly and needlessly reminds you of what is going on. There is so much room for subtlety and yet most of the dialogue is dedicated to expressing feelings, bizarrely even in the stoic character of Otto. The film looks slickly designed with wondrous use of lighting, however the dialogue and even the moments intended to bring suspense are so artificial and contrived that it removes any sense of realism. That’s not even to speak of the English speaking – German accents affected by all, which is highly distracting. 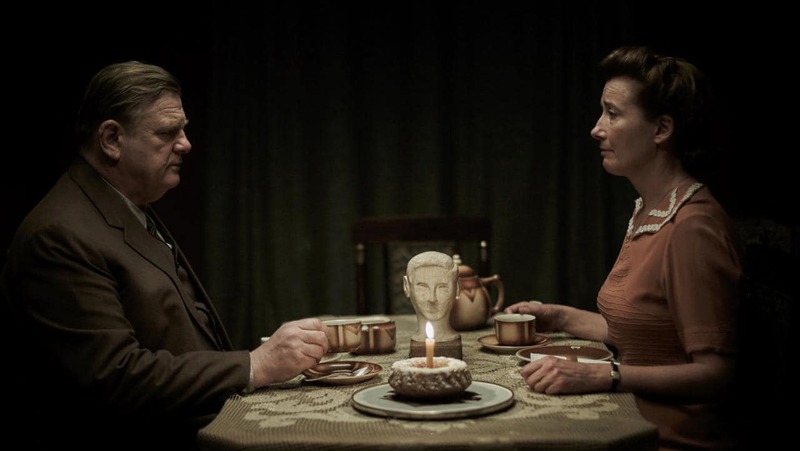 Alone in Berlin is entertaining enough to keep you for its runtime but it feels like an incredible waste of talent. 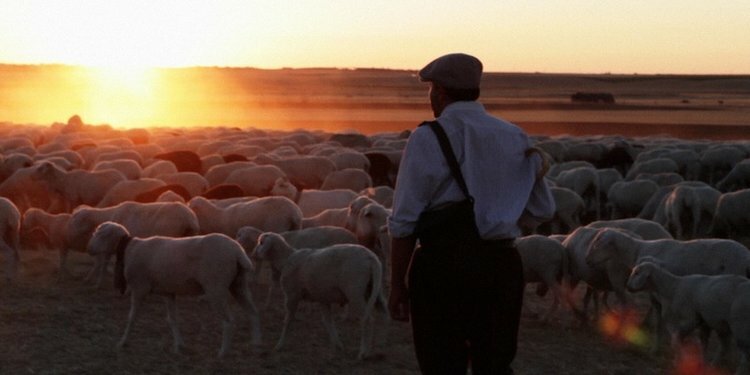 Destination Unknown is documentary based around the personal accounts of Holocaust survivors, each telling their own stories of hope and hopelessness throughout the horrifying genocide. 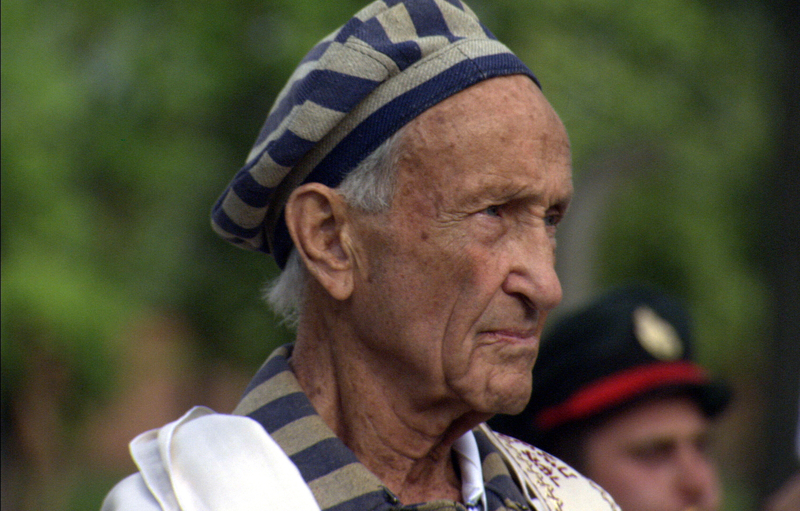 The film opens on Edward Mosberg wearing his worn blue-striped uniform, saying that he didn’t like to talk much about his experience before, but now that he is older he wants to share. This seems to be the sentiment carried by most, including Edward’s wife Cesia, who find it difficult to recall what they lived through because the memories remain fresh – permanent and in great detail. Some see it as an obligation to remember and to tell their story, others feel haunted everyday by things they wish they could forget but know they cannot. We hear the extraordinary testimonies of people who were just children at the time, of how they came to be separated from their families and amazingly, in some cases, how they were reunited. We hear the moments in which they lose hope and give in, but also when they find hope again in the compassion of others. Survivor Eli Zborowski tours us around the the secret rooms of the house in which he hid with his family. Built by a friend of his father’s in order to hide Jewish people and keep them from persecution, Eli describes him as an angel symbolising hope, not just for the moment but for humanity as a whole. The film stitches together these unbelievable stories with archive footage and photographs of the survivors at the time. Some revisit the destroyed sites of the camps, instantly overcome with emotion – it is moments like this that show the torment that cannot even be communicated. Just as some find it their duty to tell their story, it feels like our duty to listen and understand the tragedy that many people suffered, lived through and carry with them today.